The premixed version of the homemade HPW diet is called Instant-HPW (just add water), and the premade version is called HPW Jar (cooked in a jar). Scramble eggs in a mug, microwave for 1 min or until firm, set aside. In a blender...mix water and honey, blend until honey is dissolved. Add in ZooPro supplement, Bee Pollen, Glider Booster, Glider-Cal, and cooked eggs, blend for 2 mins. Pour into ice cube trays and put in freezer. HPW will freeze to consistency of ice cream. FEEDING RECOMMENDATION: (Per glider, per day) Feed 1/2 tablespoon (1/2 ice cube) of HPW diet, plus 1 tablespoon of mixed fruits, plus 1 tablespoon of mixed vegetables. We also have dried bite-size fruits and vegetables available. Vary the diet by replacing fruits/vegetables with insects, Gliderade, nectar, acacia gum, sugar cane, Insect-Eater Diet, eucalyptus branches, and eucalyptus leaves. 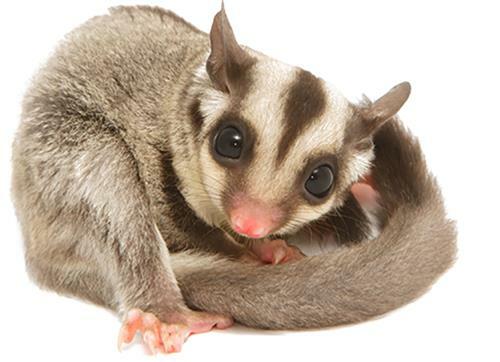 Please click HERE to view our Recommendations for Sugar Glider Food & Basic Feeding Guide. Feed in the evening close to the time your gliders wake up. Remove food in the morning, so your gliders don't try to snack on the leftovers during the day (you don't want them eating fruits and vegetables that have been sitting out all night). If you want to supply a dry food for the daytime, we suggest Glider Complete. You can cook the eggs in the microwave - it's faster and less clean up. Just make sure to use a tall ceramic cup and mix the eggs up really well. Microwave for 30 second intervals, stirring in between, until they're done. The final HPW Diet mixture will be runny and a bit foamy at the top, this is normal. If using frozen fruits and vegetables, we recommend thawing them in the microwave, cutting them up into small pieces, then mixing the HPW mixture in with them. The HPW will thaw quickly when you mix it in. HPW mixture does not need to be microwaved, thawing is best. If you are doubling the amount of ZooPro High Protein Supplement for a nursing female, it is ok to have the other cage-mates eating the same batch with the increased amount of protein.